We are so blessed to work with a competent team of individuals who have given their lives to God for ministry. Learn a little bit more about them here! Simon is from Kenya and has been involved with G.O.D. East Africa since 2001. He is married to Irene, with whom he raised 3 children. Simon Njeru is our Adult Education Teacher, and leads bible studies weekly for Kenyan youth. He and Reuben are brothers and work together on the rocket stove project. Reuben is from Kenya and first met the G.O.D. team in 1999. He is married to Ann, father to Praise and Prince, and brother to Simon. Reuben is our Agriculture Manager. He’s a veteran farmer and is trained in bio-intensive gardening. He provides education in gardening to farmers weekly. He builds rocket stoves (a safer way to cook over a fire) and educates families on their use. Additionally, he hosts a weekly fellowship for Kenyan youth. Peter is from Uganda and has served as our premier translator since 2004. (He is a brilliant man who knows 7 languages.) Peter is married to Cissy and father to Ssubi, Gideon, Favour, Joel, Joy and Peter Jr.
Peter is the Dean of Students and Lead Professor at the Institute for G.O.D. EA. He excelled as a Bible student in our program, has a great knowledge of God’s Word, and enjoys sharing the truths he’s received from the Word. 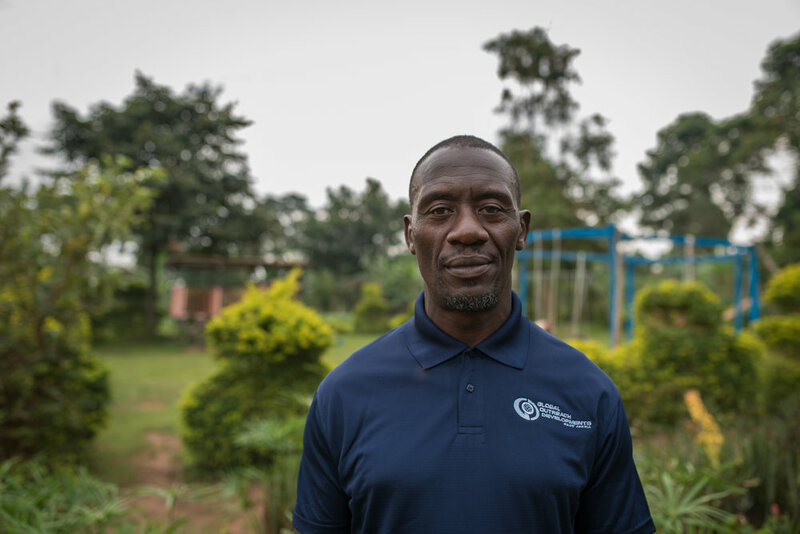 We first met Francis in Uganda in 2004, and he began working faithfully alongside G.O.D. East Africa shortly after. He is married to Annette and father to Rebekah, Victor, Rachel and Micah. Francis Lubega is the Facilities Manager on our property. He is a Master Builder, and is responsible for all building projects and facility upkeep. He also has a background in education and farming, and can manage a variety of efforts when needed. We've known Lawrence since our initial trip to Uganda (2004). He is married to Josephine, and father to Quinn, Genevieve, Genesis and Shaddai. Lawrence is the Head Teacher at St John’s Primary, where his wife also works. Lawrence has been a primary school teacher for over 15 years. Additionally, he trains the students at the Institute to teach at St John’s as part of their education.